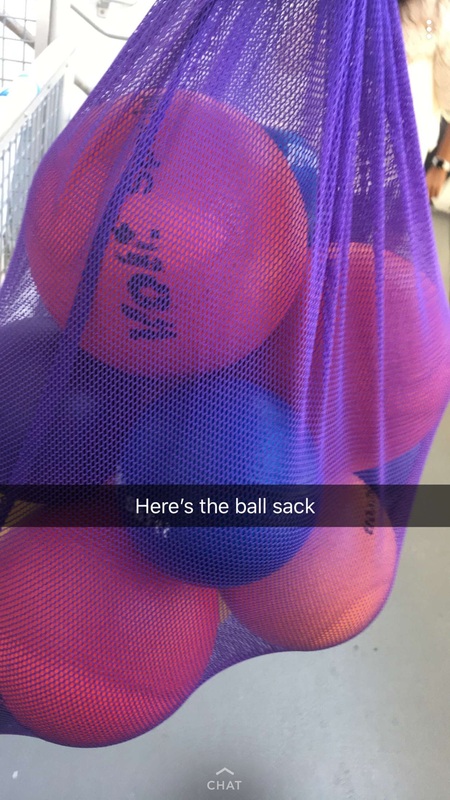 Junior Davis Major issues a bulletin on Snapchat with a photo of the sack of balls taken only hours before its disappearance. The dodgeball sack was found on April 26 in the gym, just in time for the dodgeball tournament on May 2. With a four-star rating on GreatSchools.org, this school has always been seen as one of the best in the district, nay the country. No school on Fridays, having to go to math only twice a week and some of the best students in the state! However, is the school really as much of a safe haven as it’s said to be? On April 25, a whole bag of dodgeballs was stolen from the gym, and this terrible act of rebellion has many students questioning how safe the school really is. If someone can steal these balls and feel no remorse, is nothing sacred? With new safety elements supposedly being implemented all around school, these concerns should be a thing of the past. As security tightens, it’s a travesty that this crime has gone unnoticed. The missing balls, while completely devastating on their own, are even more upsetting when it’s taken into consideration that the balls were snatched mere days before the National Honor Society dodgeball tournament on May 2. “I cried when I found out. We need to find them because if not, we have to replace them with textbooks,” junior Julie Cox said. Several students were accused of ball theft when the balls seemingly disappeared after the students’ practice for the tournament. This accusation could have very well destroyed not only their high school careers but their futures as upstanding members of society. This disastrous event was ultimately solved when Judd checked the location the framed students had originally told him the balls had been put after practice. “I jumped for joy. It’s hard to loose balls, and I felt like I was reunited with a long-lost sibling,” Judd said.